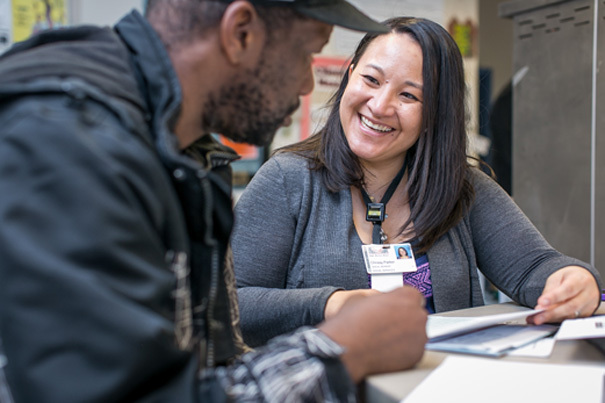 Bailey-Boushay House (BBH) offers compassionate support for individuals living with HIV/AIDS and other life-threatening diseases. Gifts from generous donors help fund many of the services and activities that BBH offers to clients. This is the work of the care managers at BBH. Their ultimate goal is to provide every client and resident with HIV equal access to positive outcomes (defined as an undetectable HIV viral load), optimum physical and psychological health, a stable living situation, adequate nutrition and supportive social connections. What are some of their successes? “The rate of medication adherence, an outing to the Puyallup Fair (thanks to a generous supporter), our first Homecoming dance and helping our clients obtain housing through our Housing Stability Program,” says Chrissy. “And when we help our clients achieve their goals.” Donations enable BBH to provide more than just medication and counseling, but goes that extra step to show clients that someone truly cares about their well-being.